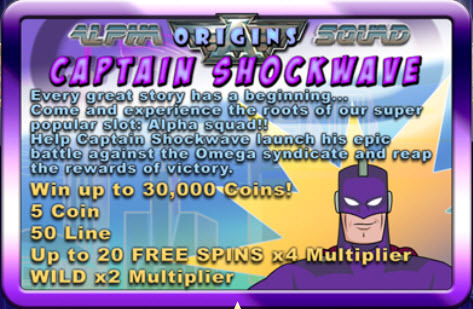 Overview: The first in BETONSOFT's exciting new "Alpha Squad Origins" series, Captain Shockwave Video Slot offers maximum wins up to 30,000 coins across a staggering 50 paylines - with up to 20 free spins with 4 X multiplier adding some muscle to the player experience. Also be on the lookout for Captain Shockwave's "sonic boom" symbol as that is a wild symbol carrying a 2 X multiplier bonus, while free spins is activated by three or more "Sonar the Dog" symbols. Coin denominations start at 0.01 cents but do go up to 0.50 cents, which is good news as it does allow for bigger overall wins for the player, should Captain Shockwave emerge victorious from his battles against the dark evils of the Omega Syndicate. This exciting video slot caters to all who are intrigued by the mysteries of the galaxy and the forces at work, and caters to those who have the courage to take up the mantle and stand with Alpha Squad in the final battle between good and evil. 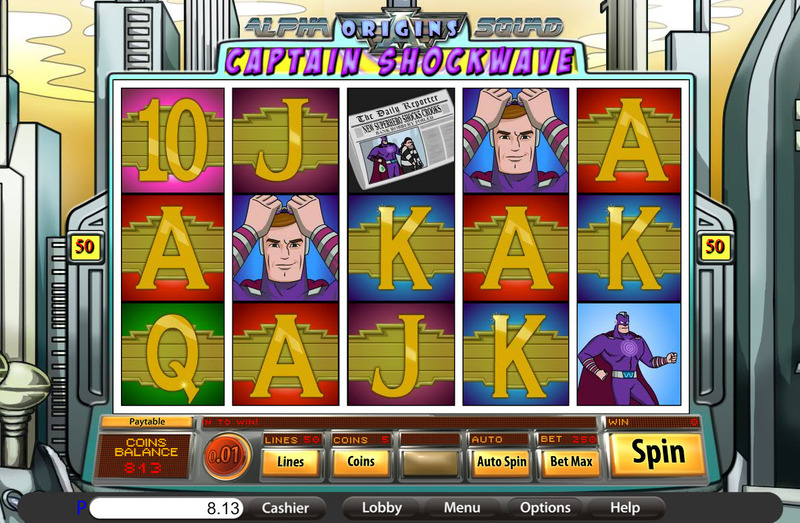 BETONSOFT proudly offers Captain Shockwave Video Slot to the few and the brave. 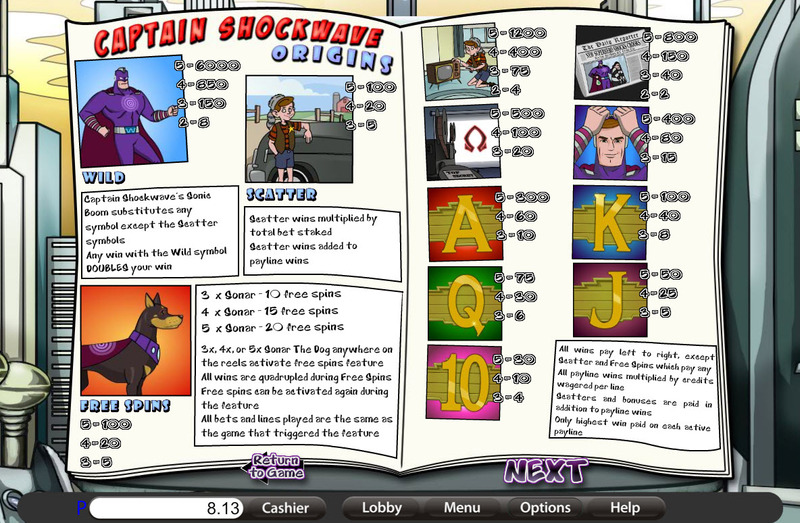 Similar Slots: If you like Captain Shockwave, you might like these other slot machines from Saucify: Horn of Plenty, Peek Physique, Pieces of Eight, Royal Banquet, Yeti Hunt:i3D.